Welcome to the South Oaks Aerodrome website! South Oaks Aerodrome was built so that those wishing to explore aviation in a grass roots atmosphere could do so! 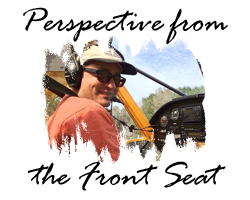 Tailwheel endorsements are our specialty but we welcome all sorts of aircraft and hope we can make your dream of learning to fly a reality. Drop us an email or give us a call and come take an introductory flight today! Did you miss our STOL Clinic? Read more about the fun weekend held at South Oaks Aerodrome. I know I have not had anything to share lately due to back surgery but, thought you might enjoy this video from 2 years ago with a student. We are visiting several strip close by here. All completed the training in unique ways. Duane (sorry no pic) took the more traditional way of a year or so training. Barry did his work in less than thirty days and would have had his ticket in less than thirty days if the weather would have allowed for his check ride. James came from Florida to train in the Sport cub, bought a Carbon Cub mid stream and completed his training in two trips to South Oaks over 45 days.